In their book Designed to Lead, authors Eric Geiger and Kevin Peck write “the Church is uniquely set apart to develop and deploy leaders for the glory of God and the advancement of the gospel.” When churches take an intentional and consistent approach to leadership development, they have the potential to raise up godly leaders change the world. 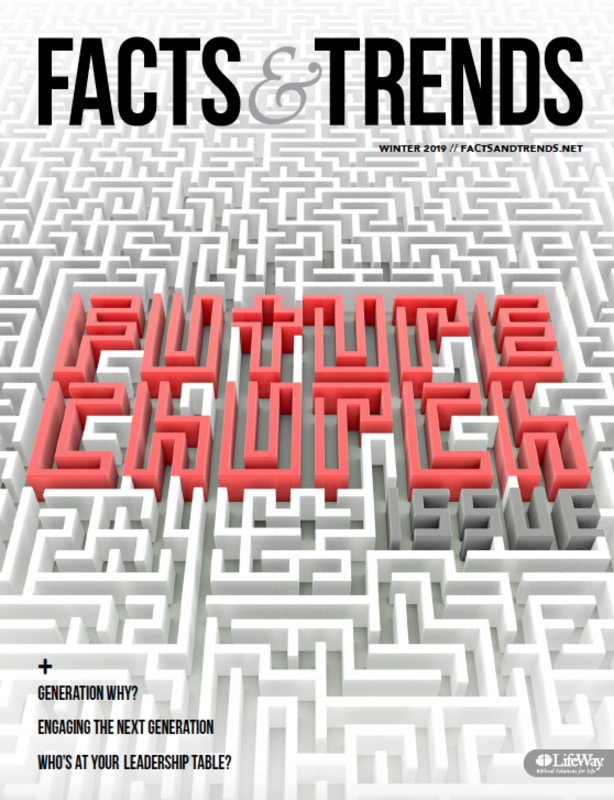 In this issue of Facts & Trends, you’ll find advice from church leaders on how to identify potential leaders in your church and practical ways to launch them into ministry leadership. Our cover section begins with our managing editor Joy Allmond talking to Kevin Peck, Carey Nieuwhof, and Chris Adams about developing leaders not only to serve in the church but to lead in the home, in the marketplace, and on the mission field. Danny Franks challenges pastors to let go of certain tasks and ministries and empower others to serve. Helen Gibson offers tips on how to recruit, train, and celebrate volunteers. And in his column, Thom S. Rainer offers seven characteristics for successful leadership succession. Our churches are filled people gifted and called by God to live on mission and serve His Kingdom. But they need leaders who will invest in them and help launch them into ministry. It’s our hope Facts & Trends will continue to be a valuable resource to you and your church in your mission of making disciples—and raising up other leaders. CAROL PIPES (@CarolPipes) is editor in chief of Facts & Trends. In fall 2015, Travis Wussow was living in the Middle East with his wife and young daughters. A normal day would include meeting with diplomats to discuss religious liberty concerns, advocating for the marginalized and oppressed, or developing partnerships with other organizations. He doesn’t have a diplomatic, military, or political background. And how he got there can’t ultimately be traced to law school or his time as an attorney in Texas. The catalyst for his world-changing work was a weekly commitment to set up and tear down a gymnasium for Sunday worship services. 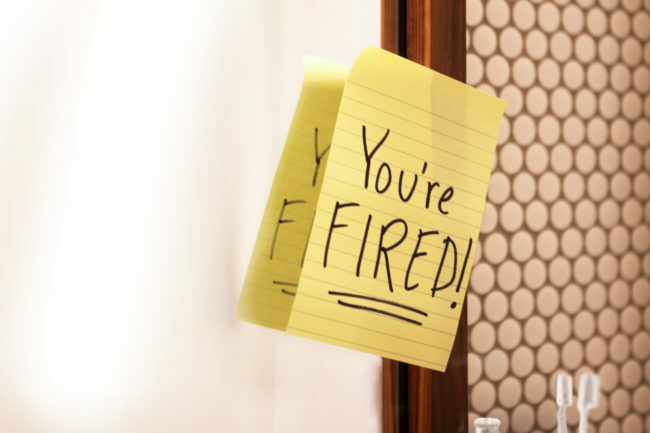 If you lead in the local church—whether you’re full-time, part-time, paid, or volunteer—it’s time for you to fire yourself. Before you start penning an “I’m out of here” letter, let me define what I mean. I’m not suggesting you walk away from your role. I’m not implying you’re incompetent at what you do. I’m not even insinuating you’ve lost the spark of passion for your job. Instead, I’m suggesting it’s time to let go of some of the things you love about your ministry. Maybe you can confess along with me that you hold onto certain tasks because deep down, you think no one can do them as well as you. Do you struggle to find volunteers to serve in your church? If you’re like most leaders, the answer is probably yes. Just over 70 percent of church leaders say they find recruiting volunteers challenging or often impossible, according to the 2015 National Survey of Congregations. Leaders lament the “80/20 rule”—a theory that suggests 20 percent of church members do 80 percent of the work while the other members do very little. Still, it doesn’t have to be that way. Today, half of American pastors are older than 55. In 1992, less than a quarter of pastors in the U.S. (24 percent) were that age. Meanwhile, pastors 40 and younger have fallen from 33 percent in 1992 to 15 percent today. In the next 5-10 years, a wave of Boomer retirements will leave behind more pastoral vacancies than there are qualified candidates. Unfortunately, few churches plan for pastoral succession. And that transitional period is often difficult for churches—ministries can be disrupted and members may leave. My team at LifeWay looked at churches that have done pastoral succession well and found seven key characteristics.